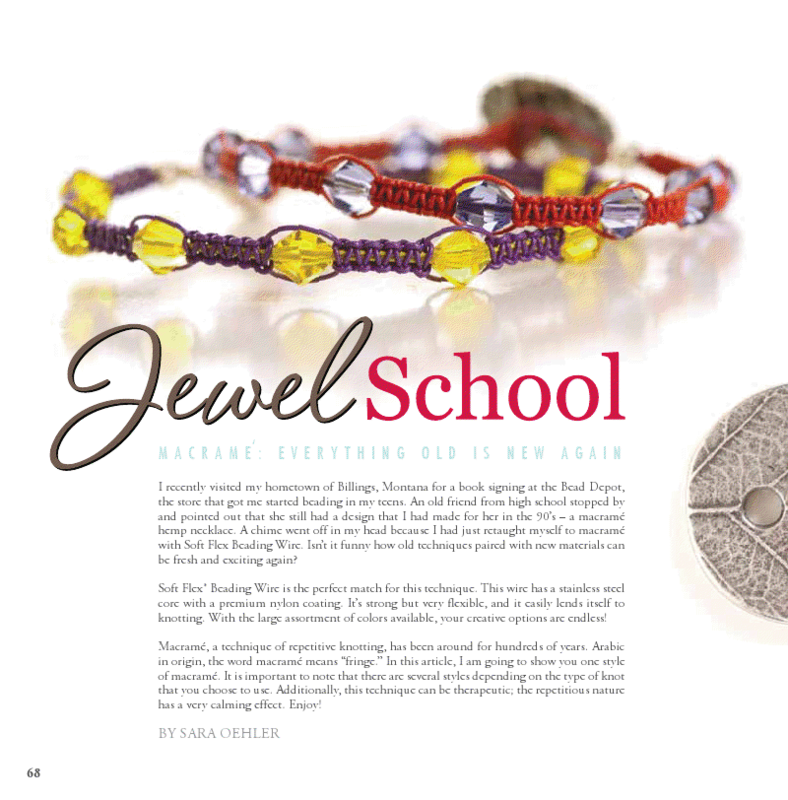 I hope that you will take time to check out my latest article in Bead Trends Magazine. 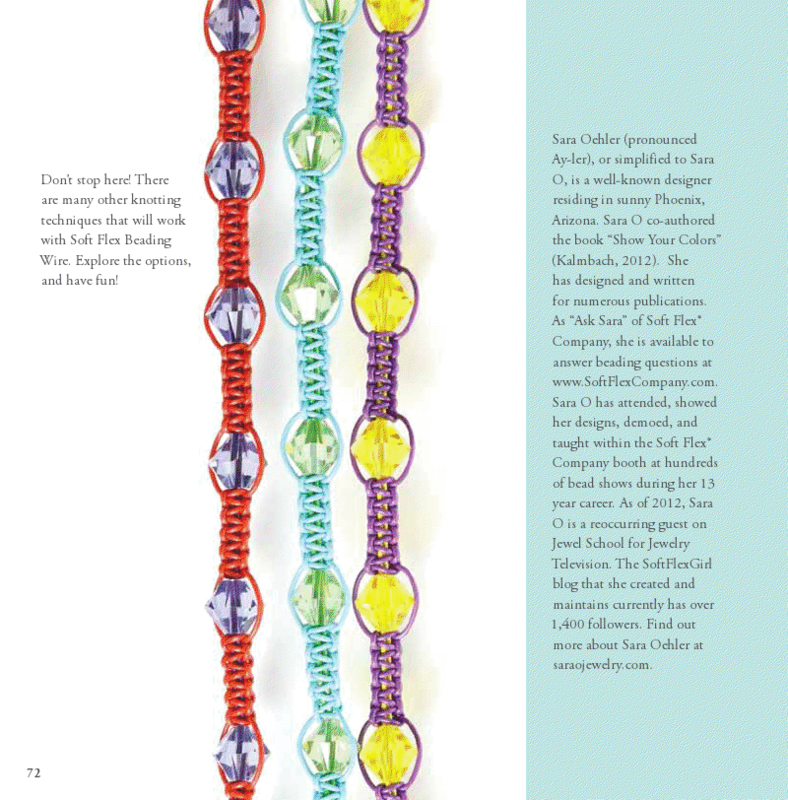 The 5-page article includes step-by-step photos on how to macrame with Soft Flex Beading Wire. As you can imagine, this technique is fantastic with the gemstone colors!